In a short time frame, its release got remarkable applauds from developers and enterprises and thus it is being widely adopted today. But, how it helps in developing a remarkable web application? Here we have listed comprehensive reasons for choosing Angular for your next project…. Another reason to use Angular is, it is based on MVC model which have made it popular for web development. If you wish to develop dynamic, complex, large and user-friendly applications, Model-View-Controller is one of the important features. It divides logic, process and UI into separate modules and improves the quality of code, removes complexities and helps the developers to build web application in a hassle-free way. A reason why enterprises are embracing Angular for web application development is; it enables to develop the application quickly with less efforts. It supports two-way data binding that helps developers to synchronize the data between model and view components without putting extra efforts. Angular is capable of updating web application’s front-end each time whenever there are any changes in backend. When data in the model changes, the view reflects the change, and when data in the view changes, the model is updated as well. Two way data binding handles the synchronization between the DOM and the model in both ways. Moreover, developers don’t have to write more code at the time of developing web application and even do not have to write their own MVC pipeline. It offers more flexibility and extensibility when it comes to developing high-end web applications. By choosing Angular for your next responsive web app development, developers don’t have to wait for a long time to test your app. 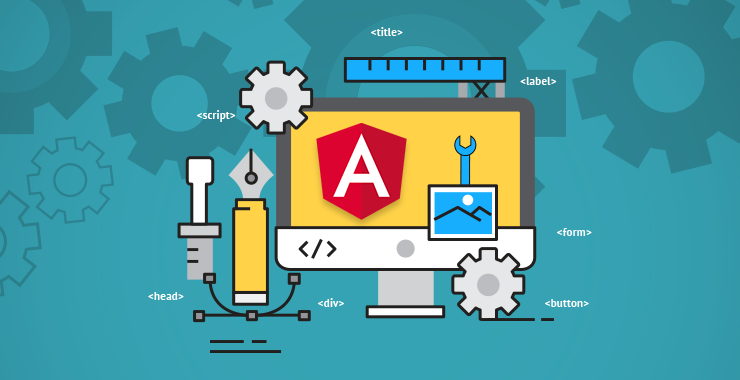 To ensure error-free components, Angular comes with real-time and in-built test modules for gaining precise insights of the modules that are already developed. By running this, developers can save much of the time as it can work in parallel with development procedure and also will provide developers with the clear idea about areas where improvements are needed. With this framework, developers can develop fully-responsive single page applications that can work on different devices and platforms. Angular provides enhanced user experience along with multiple templates, modules and UI effects. Angular provides form validation capabilities, so when a form is used, form controllers write down their states. Moreover, in-built validation of error handling helps to show the error message for whole form or separate fields. By using this data, developers can change the behavior of HTML elements used for user interfaces and can also create their own validates if they need. So, if you want to make an attractive and high-performing single page application, then nothing can be better than Angular. Angular helps to create multiple modules for a single application. Each module is dependent on the other module and can be combined further to run complete applications. For instance, developers can use Facebook login modules in several part of the application such as login, playing games, ordering etc. Due to the in-built dependency mechanism, it automatically identifies when an additional module is provided and then binds it to the other developed application modules. Another advantage of Angular is that, it develops the applications that are maintainable. Every time when developers develop web application, they need to go through over and over again, fix issues and bug over time. But Angular can refrain from doing this tedious task. It is because, Angular uses object-oriented design at client side and helps to remember object –oriented design principles that make web applications easier to maintain.